Have You Thanked Your Banker Lately? 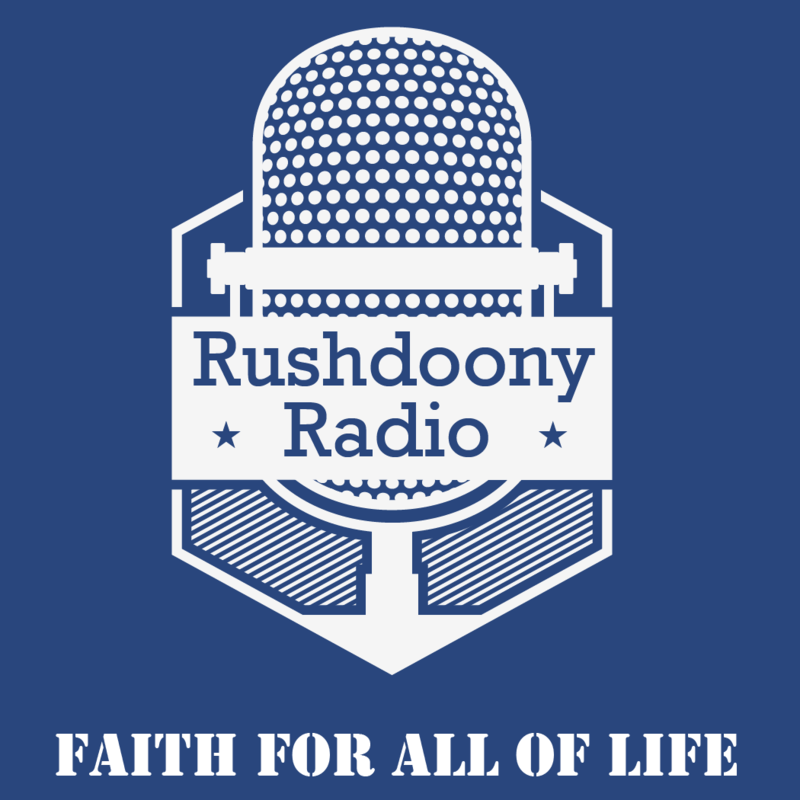 R.J. Rushdoony: 00:01 Have you thanked your banker lately? This is R.J. Rushdoony with a report on our threatened freedom. The Polish Communist state has, over the years, borrowed heavily from Western countries and banks. The Polish economy has always been bad, and it has steadily worsened with time. No principal payments on the loans have been made, and even interest payments have become a problem for Poland. At the end of January 1982, the federal government paid $71 million to the American banks, money which you and I are taxed to provide, to pay Poland’s interest payments to American banks. There is no prospect of any ability on Poland’s part to meet its next interest payment, or any principal payment. R.J. Rushdoony: 01:01 In West Germany, the central government forced the German banks to make loans to Poland. Chancellor Helmut Schmidt was the man behind the forced loans of October 1980. We have no report of a light pressure on American banks, nor is there any evidence of any real common sense being used in the loans, to virtually every country under the sun. Some have placed the debt owed to US banks by the Soviet Bloc as high as $80 billion. Others give a little lower figure. But in all cases, it is a serious threat to Western economies if these nations default, as is likely. R.J. Rushdoony: 01:50 But this is not all. Poland is now being encouraged to borrow from the International Monetary Fund, and it has also applied for membership in the World Bank. Hungary and Romania, two other debtors, have also applied. And American leaders are actually welcoming these applications and others. Who will pay for these loans? If the federal government makes them, directly or through some international agency, we will be taxed to make such loans possible? It is one thing to be taxed to support civil government in the United States, another to support bankrupt Marxist regimes. R.J. Rushdoony: 02:37 These loans, by the way, are above and over foreign aid grants. When the banks make the loans, it is with the depositor’s money, which is us again, and when a default occurs, as in January 1982, the taxpayer makes the payment through the federal government to our overambitious banks. If you and I have trouble making a bank payment, is there any attempt by the federal government to bail us out? In fact, is there any reason why you and I, and the banks, should not pay for our own mistakes? How else can we ever become responsible? R.J. Rushdoony: 03:22 If your banker or a bank made loans to the Soviet Bloc, give them a word of thanks for your higher taxes, for keeping Marxism alive, and for endangering your freedom. If you believe that these are not things to be thankful about, then show some concern about foreign loans and subsidies to losers, whether they be foreign countries or American banks. If you like what is going on in Poland, you should be happy, because after all, you paid for it, and you will continue to pay for it, in Poland and elsewhere. You then are responsible for turning Uncle Sam into Uncle Sucker, because that is what you are. Some of us, however, are not happy about subsidizing the Soviet Bloc, any other foreign country, or our own banks. Freedom requires responsibility. If we subsidize irresponsibility, how long can freedom last? This has been R.J. Rushdoony with a report on our threatened freedom.